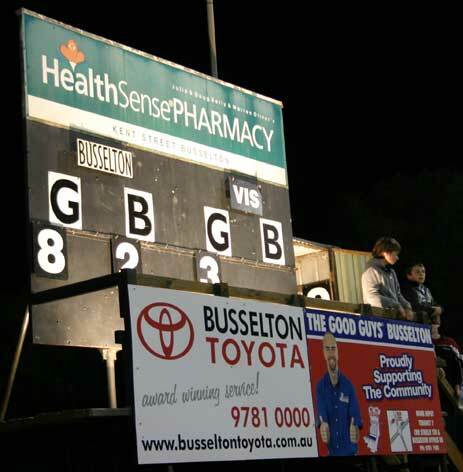 Busselton and Collie drew the first attempt at the Grand Final and the Magpies won the replay 11.8 (74) to the Eagles 5.9 (39). There was only one cafe open in Busselton on Good Friday. It was a place that serves coffee and sells bicycles. I was the only customer not in lycra until a bloke came in dressed in work gear. “I’m doing some work on the scoreboard,” he told a couple of cyclists. I found him later at the oval. 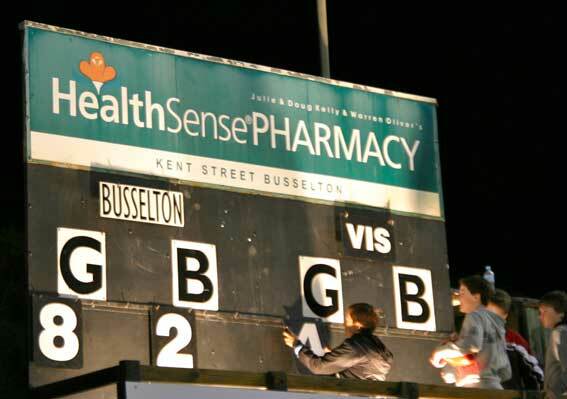 The Busselton Magpies play quite a few night games in the South West Football League in Western Australia and they’ve put in lights this season to illuminate the scoreboard. 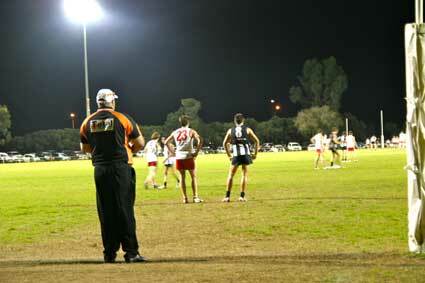 The work was plain to see in the top-of-the-table clash between Busselton and South Bunbury on Saturday 27 August. A huge crowd turned out to see the home team burst out of the blocks only to be run down by the Tigers in a thriller. 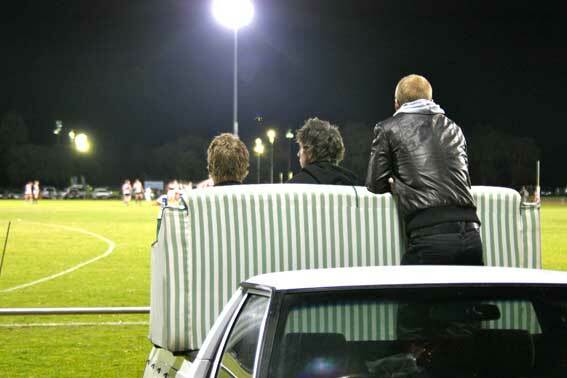 One group of fans took watching the footy from couch into the live experience. Some pretty good players have come from Busselton but the greatest of them all was probably East Perth games record holder Derek Chadwick. Chaddy played a couple of senior seasons for the Magpies before heading to East Perth in 1959 as an 18-year-old. He played 269 games for the Royals and 22 for WA. Chadwick was a member of losing grand final teams in 1960, 1961, 1966, 1967, 1968 and 1969. He also played 65 first-class cricket games for WA and seven for the Australian second 11, usually as an opening batsman. Other big names include East Perth’s dual Sandover Medal winner Phil Kelly and Michael Christian who went from the Magpies in Busselton to East Perth and on to the Magpies of Collingwood where he played in the 1990 premiership team.